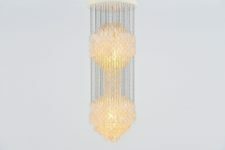 Spectacular large chandelier designed by Verner Panton and manufactured by J. Lüber AG, Switzerland 1964. 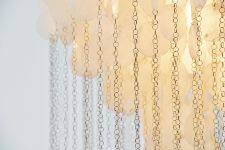 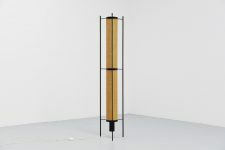 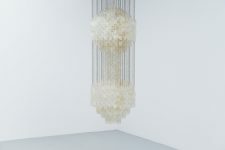 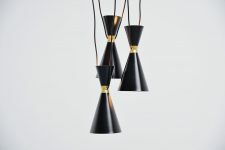 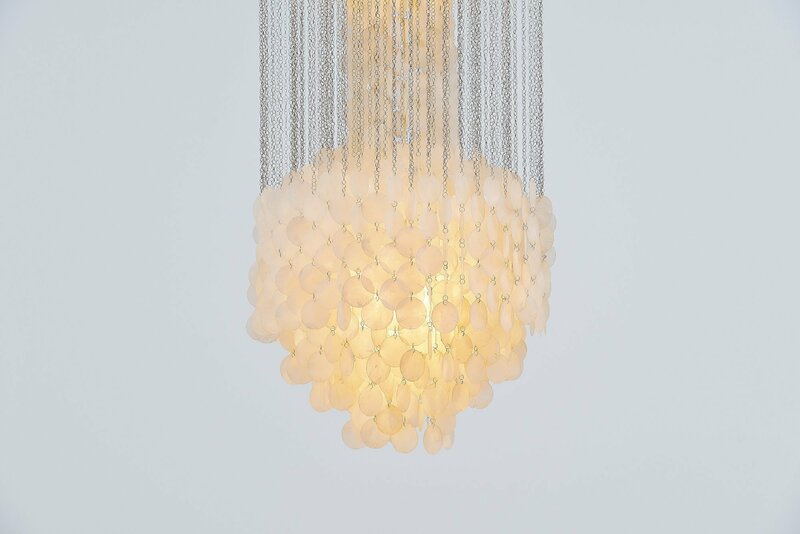 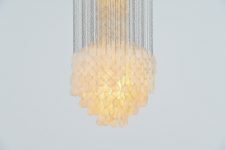 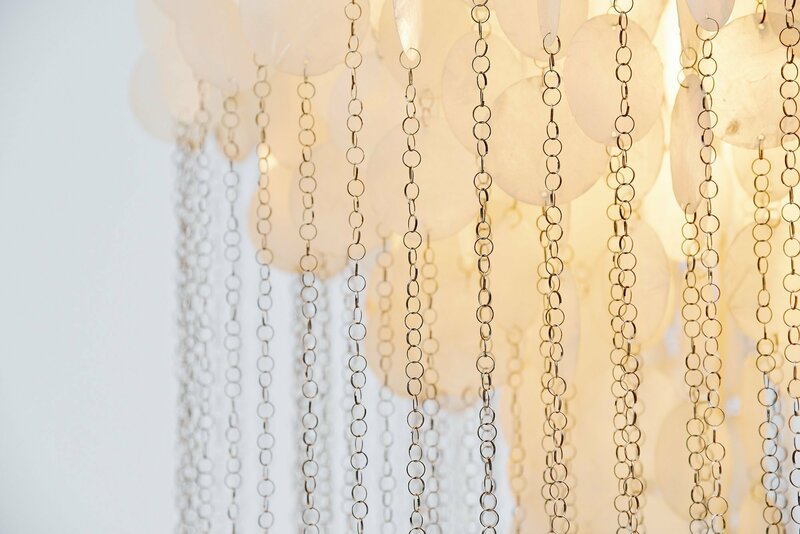 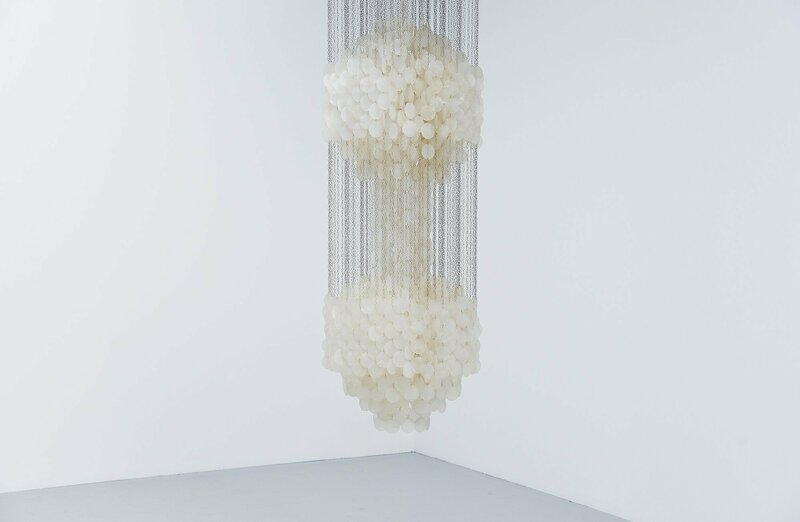 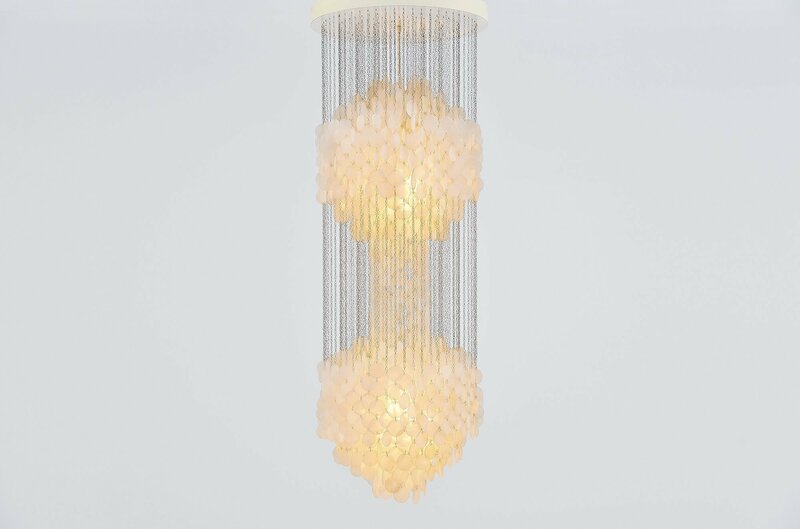 This chandelier is from the first production by J. Lüber and this is for a very impressive large chandelier made of numerous small discs of shell suspended from each other in a chain-like manner. 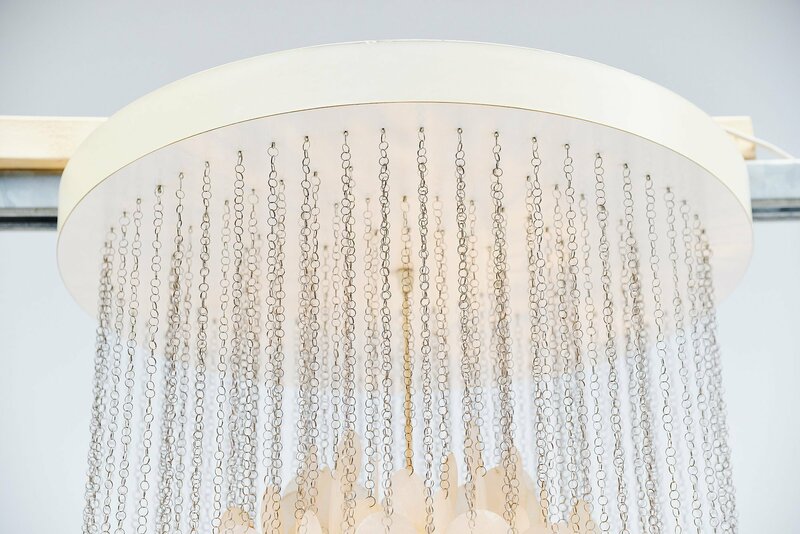 The electric light bulb sits invisibly in a frame of rings. 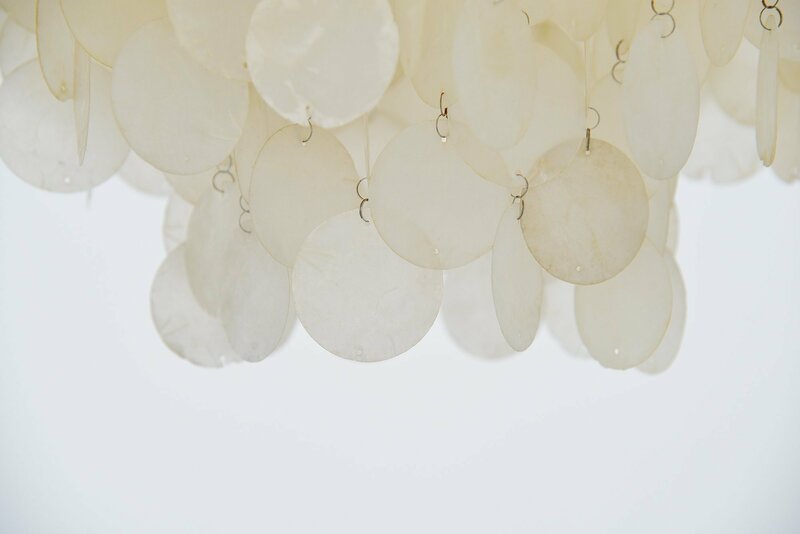 The effect of heat and draughts of air intentionally produce jangling noises. 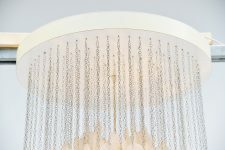 The wall plate is made of white laminated wood. 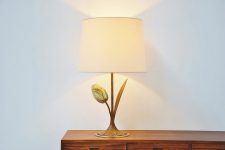 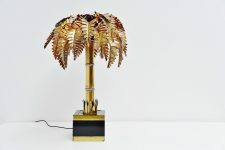 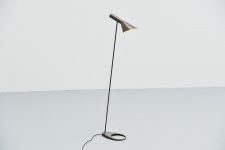 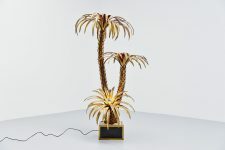 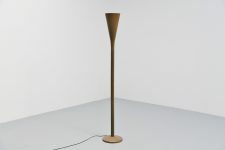 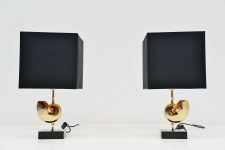 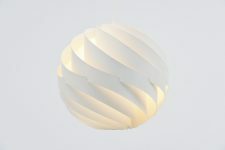 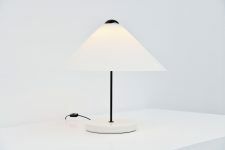 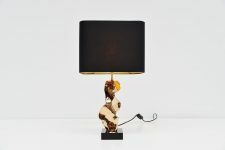 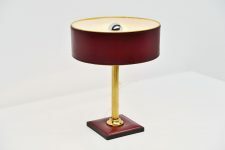 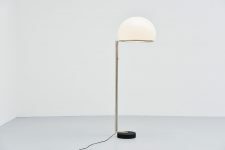 The lamp is in very good original condition and gives very nice warm light when lit. 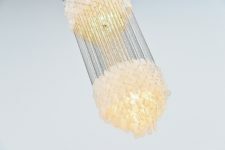 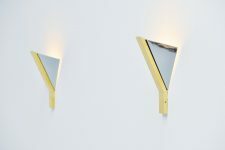 Uses 2x E27 bulbs up to 75 watt each.